Does your Toyota have a few dings or dents you want removed? We can help you at Chomedey Toyota Laval. 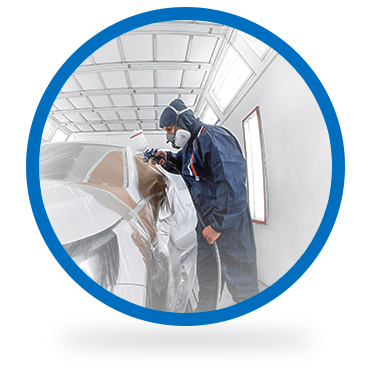 We offer a wide selection of affordable body shop services and a team of knowledgeable technicians who love their work. At Chomedey Toyota Laval, our body shop services are offered by technicians who specialize in Toyota products. They only use genuine Toyota parts in all their repairs as well as state-of-the-art equipment to ensure the quality of their work. No matter the damage to the body of your vehicle, you can trust the team of experts at Chomedey Toyota Laval. We have modern facilities to ensure our best work, and your Toyota will be as good as new when it leaves our body shop. At Chomedey Toyota Laval, we work with insurance companies and give you an estimate before work begins. For quality and affordable body shop work in Laval, trust Chomedey Toyota Laval.